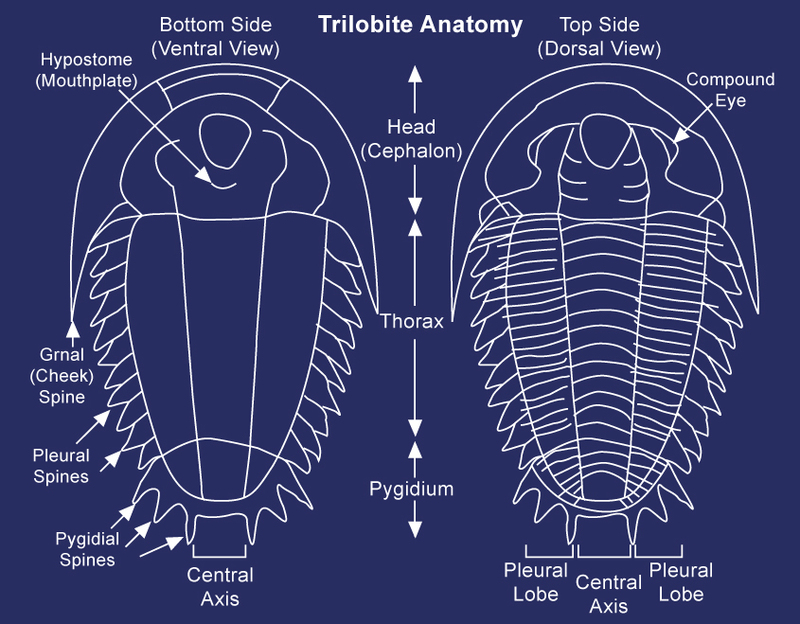 Trilobites were amongst the most important and diverse animals during the Paleozoic Era but finally died out at the end of Permian.They are the earliest arthropods and the one of the first known fossils with sophisticated eyes. 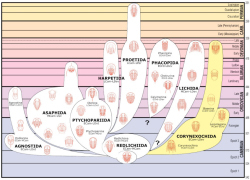 They were characterized by segmented bodies divided across the body into 3 lobes. Hence the name "tri-lobite". Further subdivision from head to tail is also present with a head (cephalon) including a pair of highly developed compound eyes and a mouth, a jointed body (thorax), and a tail (pygidium). 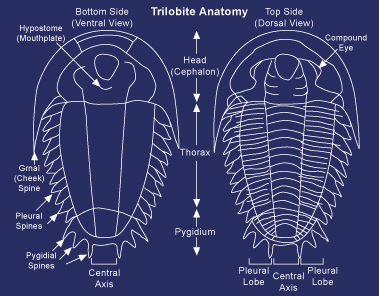 Trilobites were marine creatures which evolved into specialized forms adapted to diverse environments. Those with light skeletons floated in the water column (pelagic) hunting for smaller plankton. Others were bottom-dwellers crawling along the seafloor (benthic) and filtered mud to obtain food, similar to their present cousins such as scorpions, crabs and lobsters. Their closest living relative is the horseshoe crab. Many trilobites were capable of rolling up in a ball, probably for protection from predators. 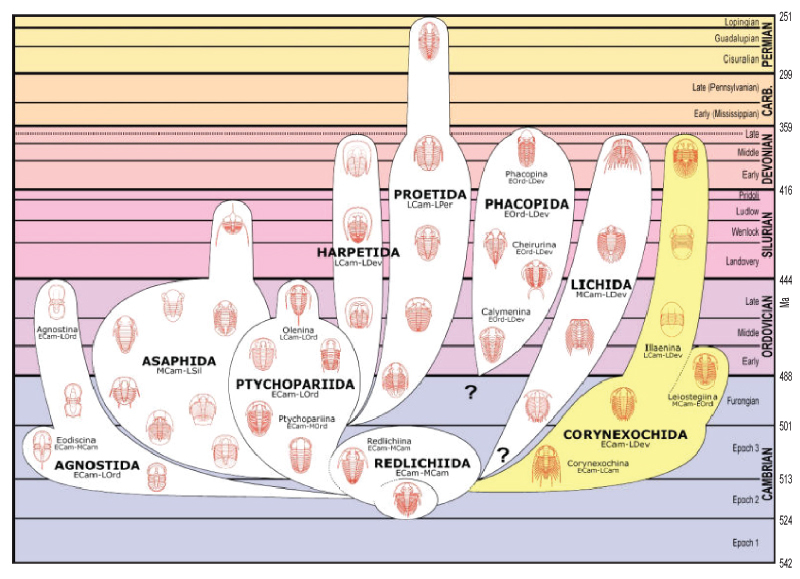 The hard outer skeleton meant that trilobites, like other arthropods, needed to molt periodically as they grew bigger, thus each animal could have provided several fossils during its lifetime.